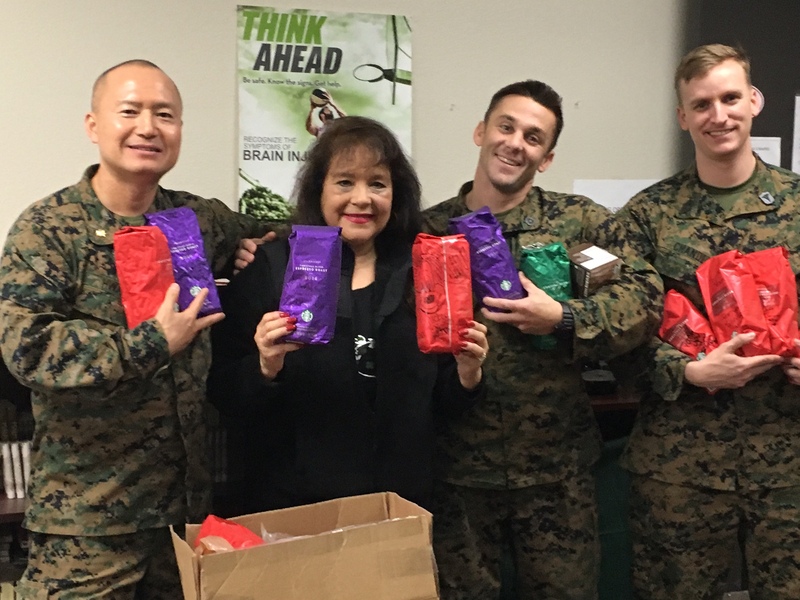 The YMCA of Orange County has recently completed its annual Stockings for the Troops Christmas season campaign to send much needed items to our country’s military men and women currently serving overseas. 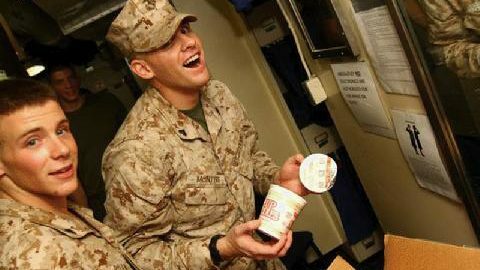 652 brightly colored stockings were stuffed with items such as coffee, granola bars, cup of noodles, gum, candy, and other goods that give the troops a little taste of home this holiday season. Donations were collected at several dozen locations across Orange County, including YMCA afterschool care sites and fitness facilities and Starbucks locations throughout Huntington Beach. A stocking stuffing party was held at the Moffett Family YMCA Child Care Center to fill many of the 652 stockings with items that were donated. “Getting the kids involved in service learning projects like Stockings for the Troops teaches social responsibility and really helps us to develop stronger youth in our communities,” says Jeanne Colwell, Area Manager for YMCAOC Childcare & Summer Camps. Local Starbucks managers also joined in the fun with their own stocking stuffing event. Check out this time lapse video below (video courtesy of Lacey Price, Starbucks District Manager). “Big shout out to you and your crew. Thank you so much for your unbelievable generosity. I took a picture of my boys I could get together. Unfortunately, I couldn’t get everyone. gets a stocking. 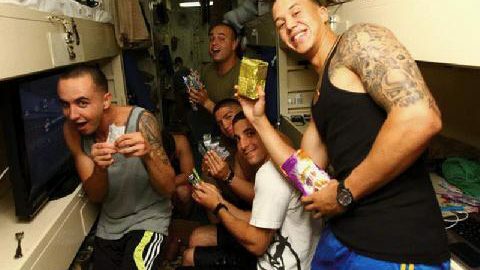 My Marines are very touched by others thinking of them this time of year. 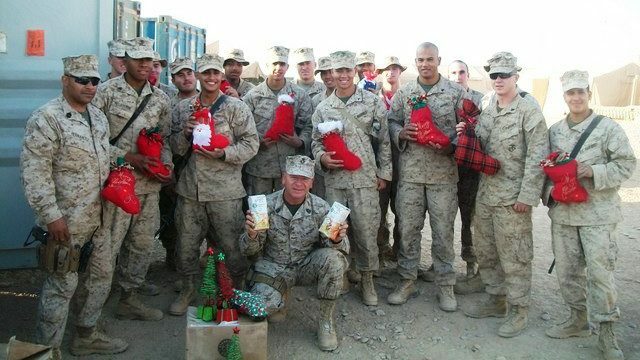 The Tradition of Stockings for the Troops was started back in 2006 by a volunteer at the Peterson Elementary YMCA. Jasmina Miller’s husband was deployed to the border in San Diego with the border patrol agents and she wanted to provide him and other service members a nice Thanksgiving dinner since they were away from home. Since then, the initiative has grown significantly with more community involvement today than ever before. If you or your organization would like to be a part of this impactful program, please contact YMCA Volunteer Coordinator, Elise Thompson, at ethompson@ymcaoc.org. See pictures from this year’s Stocking for the Troops, where kids and volunteers were hard at work stuffing the stockings, click here. 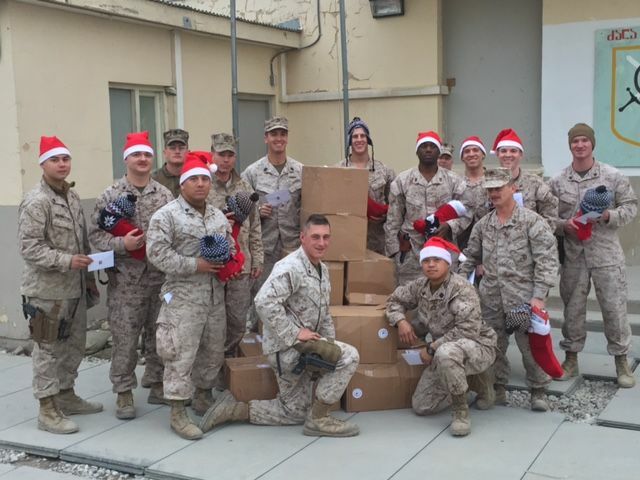 To see troops receiving the stockings, click here. Operation Christmas Care Packages is an annual program hosted by WOCHP, in collaboration with other organizations. 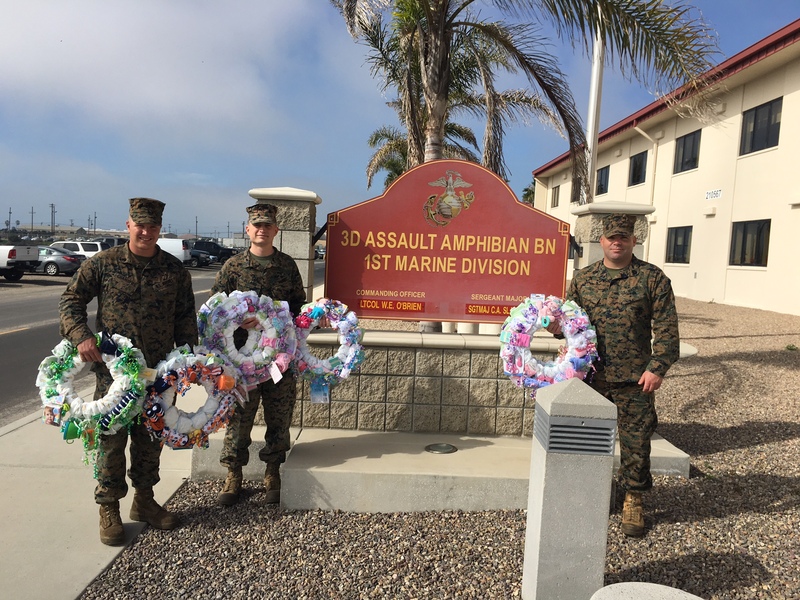 With the support of volunteers and contributors, we are able to come together to create care packages for military personnel overseas who are unable to spend Christmas with their families. 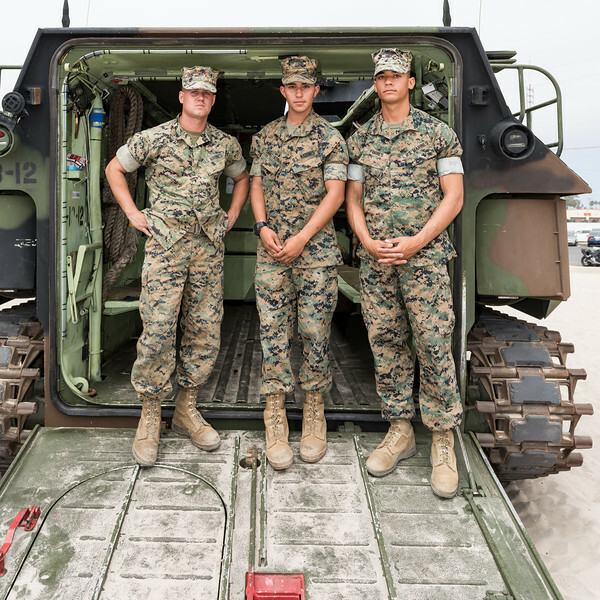 Please donate to Operation Christmas Care Packages to keep this great program going each year, and to touch the lives of our brave men and women overseas. 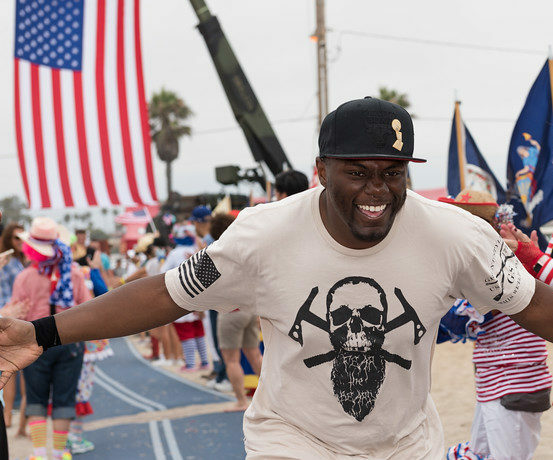 Would you consider expressing your gratitude to those who serve our nation and defend our freedom by making a donation to Words of Comfort Hope and Promise?